Yet another great new shirt! 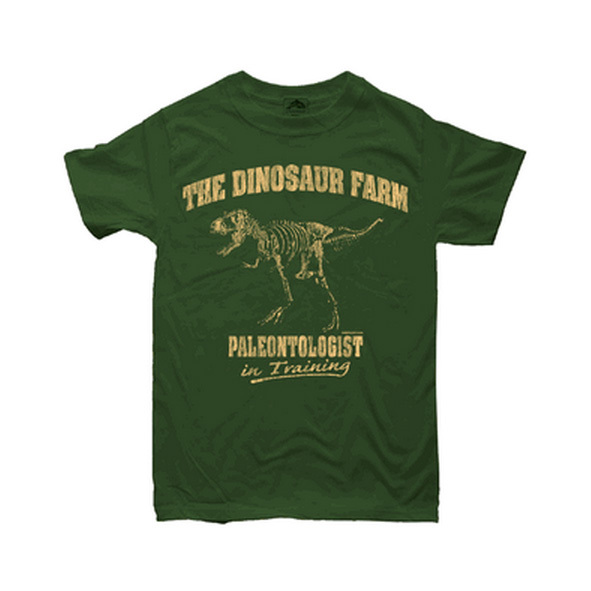 This one is olive green and announces to the world that the wearer is a paleontologist-in-training at The Dinosaur Farm! Comes in Child sizes XS ,SMALL, MEDIUM, and LARGE. This shirt is now available in long-sleeve for $1 more! Tags: green, olive, paleontologists, t-shirt.